The victims were hit by stray bullets and 23 were shifted to the Lady Reading Hospital. The other nine were taken to the Hayatabad Medical Complex and the Khyber Teaching Hospital. The injured were brought to the hospitals from the Chamkani, Mathra and Urmar areas of the provincial capital. They are said to be in a stable condition now. Despite clear instructions by the authorities that whoever was found engaged in celebratory firing would be dealt with sternly, gunshots were heard for several hours in different localities of the city. These areas included Badhaber, Mattani, Masho Khel, Mathra, Khazana and Chamkani. A police official told The Express Tribune that a major crackdown was launched and 65 people were arrested across the city for celebratory firing. The Khyber-Pakhtunkhwa (K-P) police had launched an awareness campaign against celebratory firing and also warned that violators would be arrested. 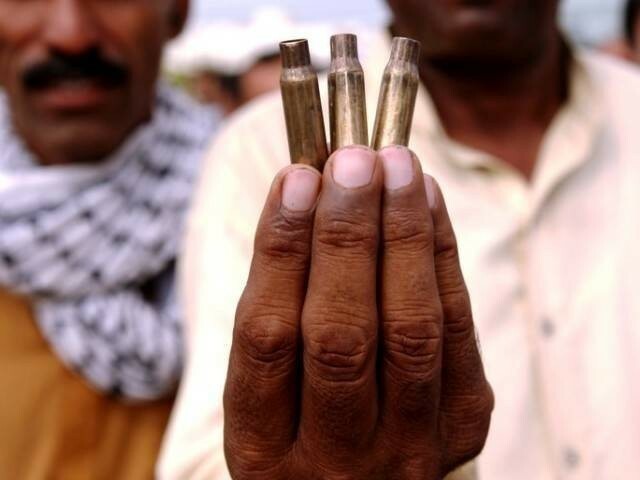 Despite such campaigns every year, dozens of people are killed or injured in celebratory firing across the province.